For different purpose we use different file types and we often feel the need of software that interconverts among file types. An exciting way to file type conversion is virtual printing. With this nice feature any printable file can be converted to virtual printers output. Virtual printing softwares are common for printing to PDF but it is equally useful to extend that feature to other formats. AB-Tools Free Image Printer has taken this concept and has the ability to print to to Image, PDF, HTML, MFT, RTF, XLS and XLSX file types. It supports BMP, EMF, WMF, GIF, JPEG, PNG & TIFF image formats. The software is free to use and is multilingual. The software can be freely downloaded from the following direct link. Its a 9.25 Mb download, digitally signed by AB-Tools.com. Installation requires administrative rights and requires 19.6 Mb of free disk space. Installation is fast and create desktop icon as default option. During the printer driver installation, it asked to replace some files which are actually newer that the files to be copied. This prompt has to be denied. It asks to associate .pjb File Extension with the software which is used for saving print jobs. Also the software asks to set the printer (Free Image Printer) as default. You need to be careful to avoid installation of unnecessary applications by following proper instructions. The software also asks to install their paid software Print & Save, every time you open the software GUI manually or during printing. The software is multilingual: currently English, German, Spanish and French languages are supported. The software GUI can be opened via desktop or start menu shortcuts. From the GUI, there is no option to open printable files. You need to print using Free Image Printer to open the file in that GUI as a print job. 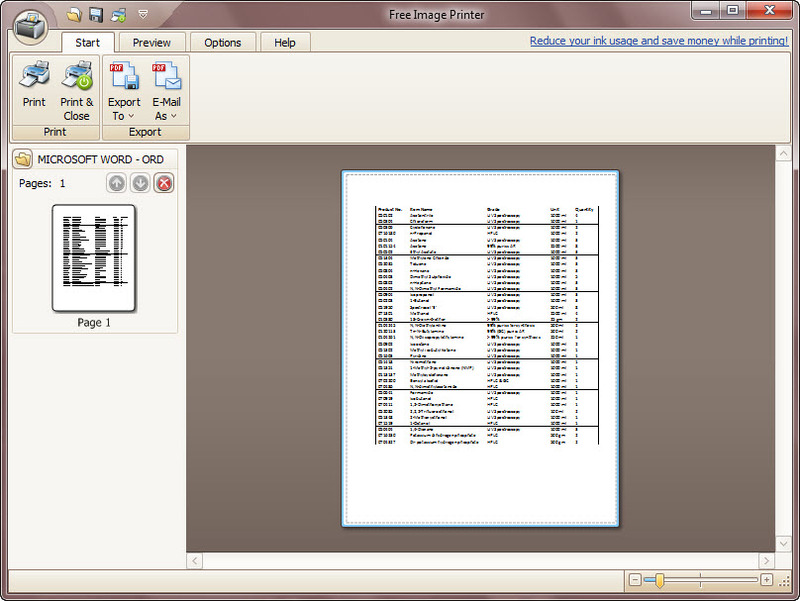 The software offers a previewing feature for the file to be printed. 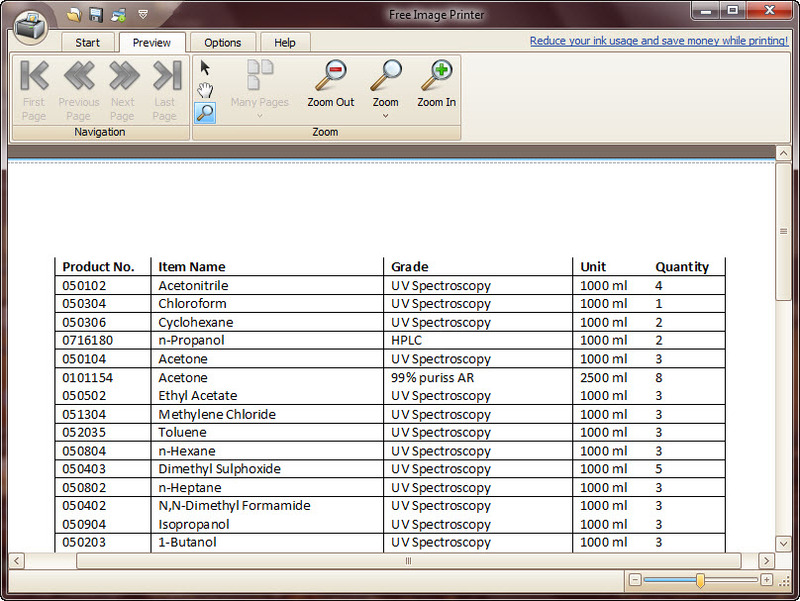 The software can print to to Image, PDF, HTML, MFT, RTF, XLS and XLSX file types. Each file type has its own settings (see the links). In all the cases, the printout is either single file page-by-page or as different files. Beside printing, the software also allows direct e-mail delivery of print job. You can even save print jobs (as .pjb files) for use at a future date. The software offers skinning and automatic update check at program launch. The software has integrated help system. It also offer quick tips on software launch. AB-Tools offer Free e-mail support in case of problems or questions. The software is light on resources. I have never seen such a versatile virtual printer. I would recommend the software. But it needs import printable files via the GUI. This entry was posted in Document Management, File Management, Format Conversion, Free, Graphics Management, PDF, Software, Windows.